Sorichung, Maddilynn Ra and Eun Su kim, went to LA city in order to play “1st LA Pansori Competition with master Tongdal Cho from Korea” We got a grand prize in elementary part. Maddilynn JY Ra competed in the 1st LA Pansori Korean Traditional Folk song Competition. Sorichung competed in the 18th Annual World Korean Traditional Music Competition. 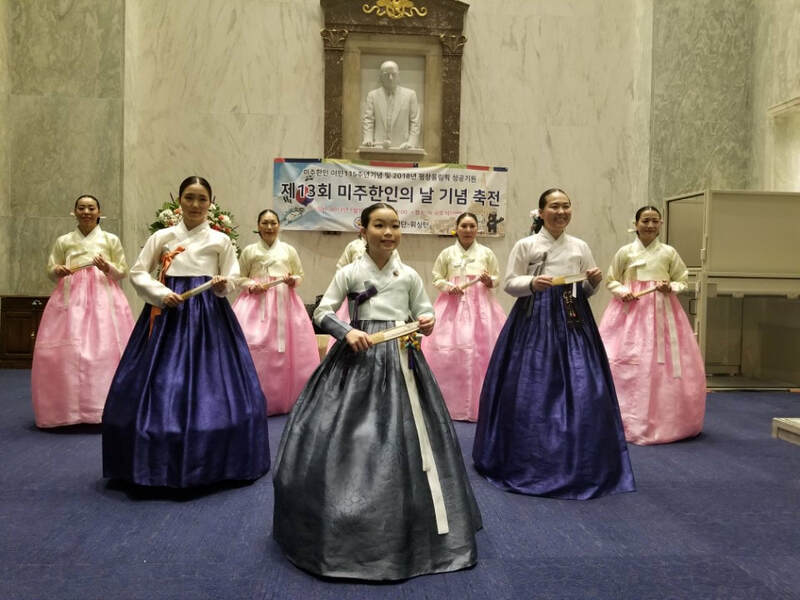 "2018 White House Lunar New Year Celebration"
"13th Annual Celebration-Korean American Day"
is a Korean Cultural Agency in the Washington DC area. Sorichung Enterprise is also the Washington Sorichung Korean Traditional Music Institute operates two different branches; they are Soricha Tea and Theater, and SoriN corp Korean cultural performing arts center. Washington Sorichung is where people of all ages can learn more about Korean traditional music and arts while taking classes or participating in workshops. They also perform all over the nation. Soricha Tea and Theater is a business that different communities alike can enjoy Korean teas and the Korean atmosphere. The theater also provides a space for artists to showcase their work. SoriN, Corp is a registered 501(c)(3) non-profit organization that will bring together communities with the donations received. Donations received in the first year will be used to create a significant annual Korean cultural event for the American society. Additionally, the non-profit organization will build a Korean traditional music performance along with scholarship programs and workshops. is an organization dedicated to the cultivation of Korean classical music and other Korean traditional arts. It was found in 2007 by Eunsu Kim and has branches in Fairfax, Virginia. ​of Korean traditional music theater and Korean traditional tea house. Soricha will be selling high-end Korean traditional tea and will regularly hold Korean traditional cultural performances. is another branch of the Sorichung Enterprise. ​It aims to serve as a bridge for the Korean and American communities. It plans on creating scholarships, getting involved in Korean Cultural Exchange programs, and working with other groups and individuals in order to expand its agenda.